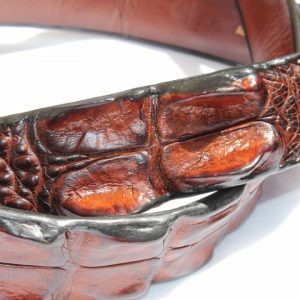 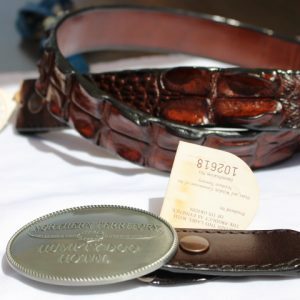 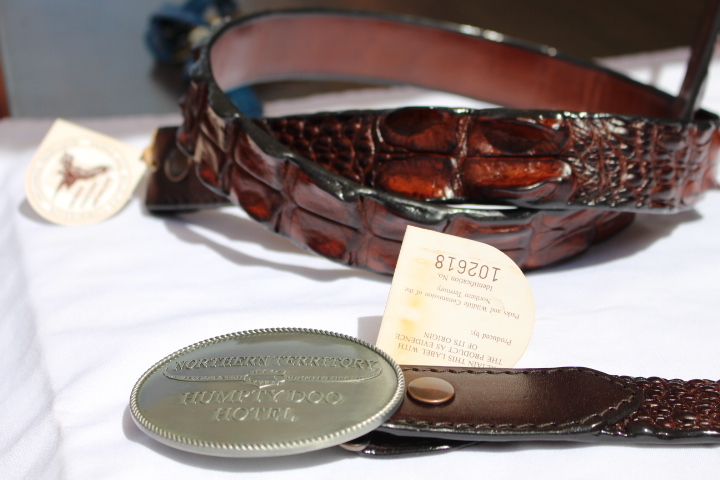 Crocodile leather belt 3.5 cm with Humpty Doo Hotel buckle. 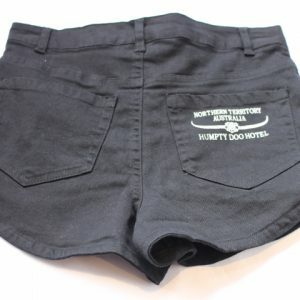 Available in sizes 28-50 inches and 3.5 cm wide. 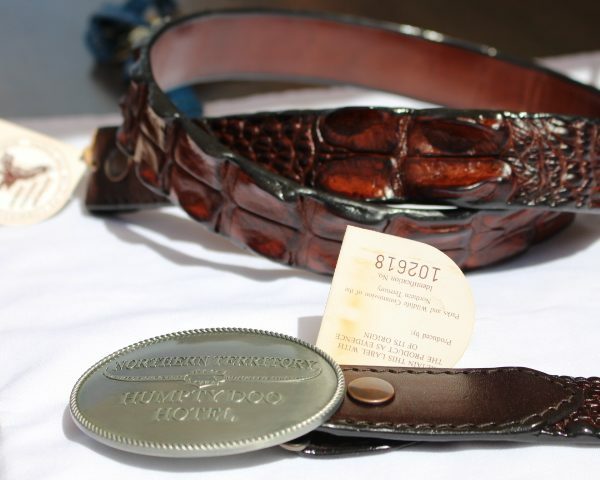 We also have the belt with no buckle so you can attach your own.